Mark and the SU Carbs team is a regular customer, they often have some nice vehicles that need signwriting but none as big as this. 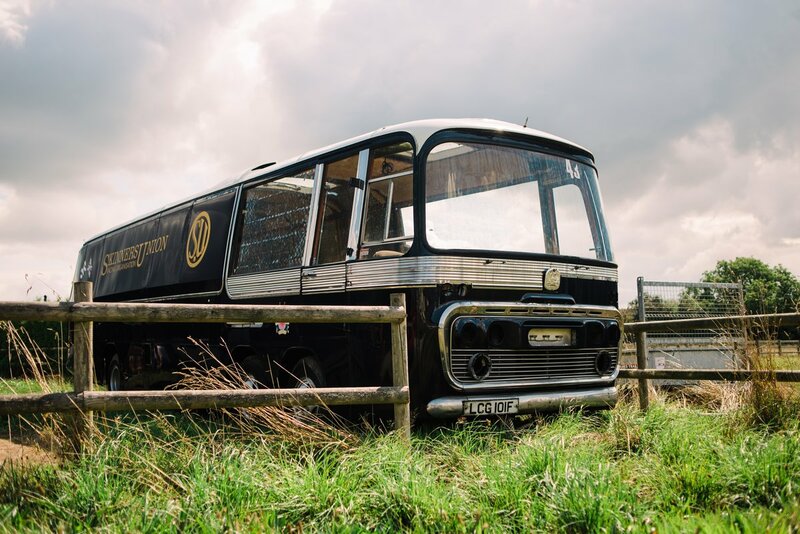 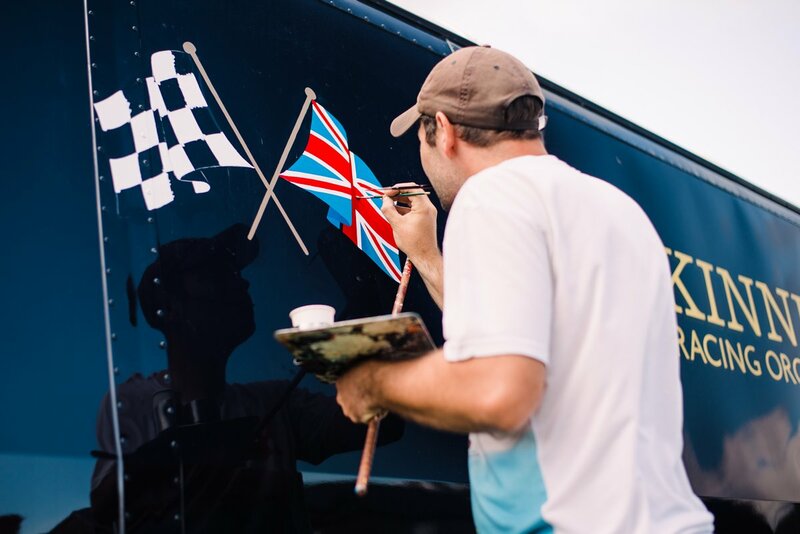 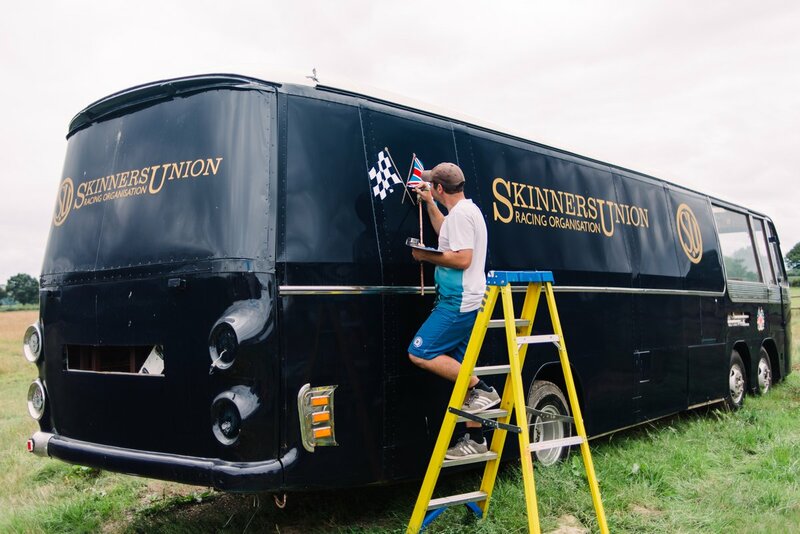 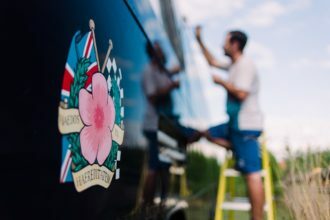 This 1950s bus is currently being converted to carry the teams racing Mini to tracks around the country. 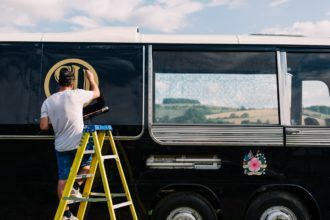 It has space for spares and tools plus seats upfront for the family and team (with great views, check out the size of those windows). The design was based on the Brabham Racing bus and quite a bit of research was done beforehand into designs on old racing transporters. 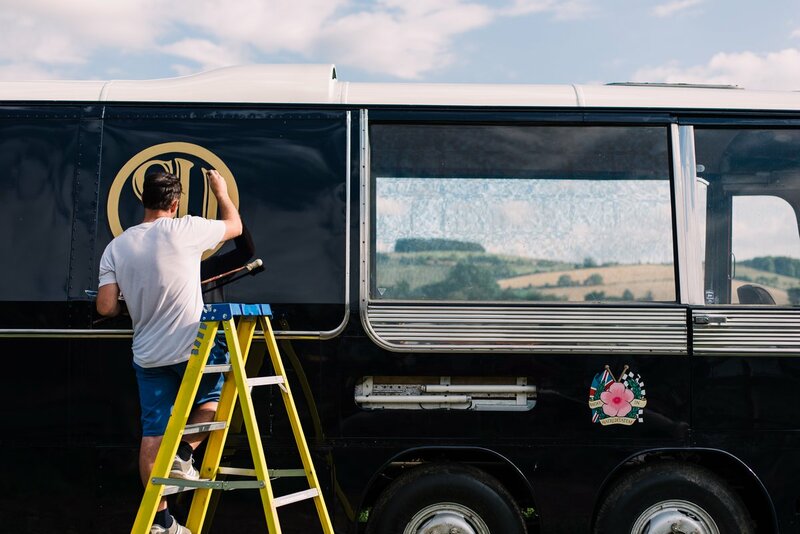 A crest was included on both sides of the bus with elements that were chosen by the family. 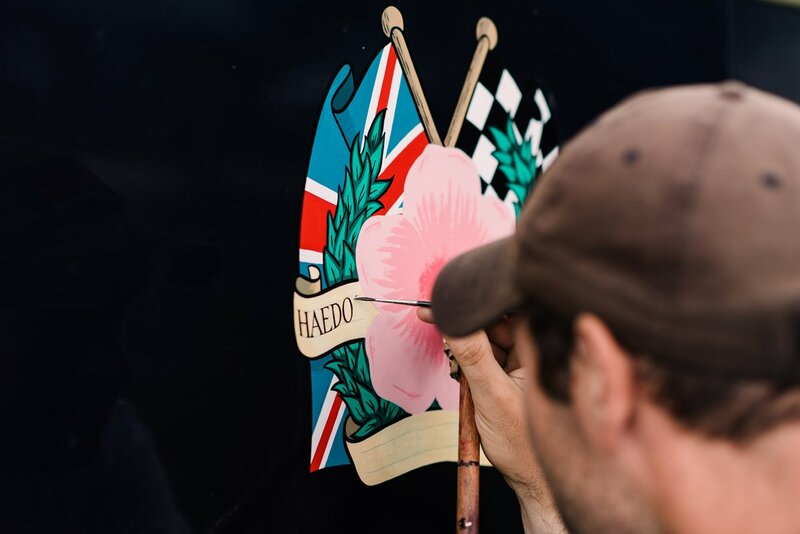 Vintage bus signwriting is great, I often attend local bus rallies to get photographs and ride around on the buses.